Islam revives and reforms all religions and Muhammad is the corrective prophet/messenger and Quran the corrective Recitation that confirms the Truth revealed to founders of all great religions and that they all, the founders, were truthful persons but their founders could not keep the message intact in its pristine, pure and secure form. I don’t see point in combining two religions and making religious arguments from them. Particular religions have been given to people whose temperament is most suited to it. Judaics is rituals, Christianity is mystical and Islam is obeyance. If one suits yu better than another, take it. This is a rather simplistic way of viewing them. They are each full blown philosophical schools that have various tenets. Some are similar and some are different. Judaism does have rituals, but so does Christianity and Islam. Christianity does have mystical elements, but so does Judaism and Islam. Islam does stress obedience, among other things, but so does Judaism and Christianity. The base of Judaism is HaTorah. The base of Christianity is the Apostolic Writings and the base of Islam is the Koran. As the Muslims put it they are all “people of the book”. That is that they are constitutional philosophies. However, the three philosophies are not exclusive of the other in their views, nor are they equal to one another in those views. That is why, I think, if one is not going to look at each individually, one needs to focus on the tenets and not the philosophies as a whole. Islam is not named after any human personage. It envisages the eternal Truth that was revealed, we believe, by One-True-God/YHVH/Allah/Ahura-Mazda/Is’ana*/Ishwara** . Whatever the name of One-True-God was revealed to a people in their own language and they submitted/obeyed to Him and worshiped Him to attain peace of heart and soul and with humans around, in this sense they were followers of Islam and Muslims. Islam revives and reforms all religions and Muhammad is the corrective prophet/messenger and Quran the corrective Recitation that confirms the Truth revealed to founders of all great religions and that they all, the founders, were truthful persons but their founders could not keep the message intact in its pristine, pure and secure form. Right, please? *The name of One-True-God that is reported Buddha believed in. **One name of One-True-God that Dharmic-Religions believe in. The focal point is that Oneness of the One-True-God is the fountain head of the system working in the Universe. Had there been no system; there would have been no science. If there had been many gods then there would have been many systems working in the Universe; it would have been archaic universe with no science. If there had been no god, as the atheists would have one to believe; then there would have been no universe and no science. “If one, longing for sensual pleasure, achieves it, yes, he’s enraptured at heart. a cracked boat. So one, always mindful, should avoid sensual desires. Quite different from the kama sutra introduced to the West, isn’t it? Give me your thoughts on this subject – whether it be comparison to the other kama sutra, your opinion on this one, or whatever. Do you agree with the claim, or do you vehemently disagree? Please provide the wording of kama sutra that has been introduced to the West; for comparison. Why the wording has been changed and who did it? The truthful religion informs us that all natural human instincts have to be harnessed for ethical, moral and spiritual progress and are to be tuned to the purpose of life fixed by the One-True-God. Buddha narrated the Kama Sutra in the same connection. I AM SO SORRY FOR YOUR SICKNESS. WHY DON’T YOU TRY PRAYING TO ONE-TRUE-GOD FOR CURE OF ALL ILLNESS THAT YOU SUFFER FROM? MEDICAL TREATMENT WITH PRAYING COULD WORK WONDERS. Sorry. I don’t agree with you. It is a blemish for the One-True-God to take a physical human form. It never happened. If John stated; he must have wrongly understood or wrongly interpreted. 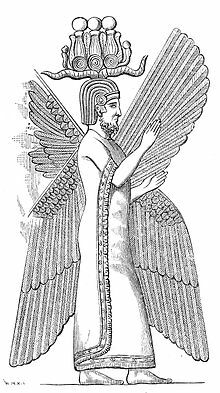 I appreciate your mentioning of Cyrus the Great- the Great Persian Prophet of the One-True-God, a Zoroastrian. He was never an Atheist or Agnostic. All Ethics, Morality and Spirituality comes from Religion; none from Atheism. [6:74] And He it is Who created the heavens and the earth in accordance with the requirements of wisdom; and the day He says, ‘Be!’, it will be. His word is the truth, and His will be the kingdom on the day when the trumpet will be blown. He is the Knower of the unseen and the seen. And He is the Wise, the All-Aware. It is a wrong premise or notion that the Creator One-True-God; created this Universe as an experiment. He needs no experiments to be made as He could create anything He wants, the way He wants and the time He wants. Now it is obvious that the One-True-God had created innumerable Universes; so that has proved the question as false already by science. The Universe is purpose built by the One-True-God; neither a chance-built nor built for experiment/play/fun. [21:17] And We created not the heaven and the earth and all that is between the two in play. [21:18] If We had wished to find a pastime, We would surely have found it in what is with Us if at all We were to do such a thing. “Scientists devise and execute experiments because they do not know the outcome. What is the point of running an experiment in which you already know the outcome? I know that 2×3 equals 6. I can fire up my calculator and type in 2×3 and press the = button, which verifies that the answer to the multiplication is indeed 6. So what was the point of performing the calculation using the calculator? Most people rightly reach for their calculator when they wish to perform a calculation that they do not know the answer to, such as the arcsin(67). I have already answered that the Universe is purpose built. Out of His mercy the One-True-God has created this purpose built Universe. I have provided the argument above. [55:1] In the name of Allah, the Gracious, the Merciful. [55:3] Who has taught the Qur’an. [55:4] He has created man. [55:5] He has taught him plain speech. “As with much religious reasoning, there are more holes in it than a sieve. You will often hear the religious-lot say “God gave humans freewill”. To have freewill is the ability to do what you like, which leads to an unforeseen future. If you are completely free then you can choose to kill another person or not to kill another person. Thus, if you are completely free to do what you like and not simply living out a pre-written script then BigG does not know the future and therefore is not all knowing. Let’s conclude with some humbling sayings from mere humans: “Who knows most, doubts most” by Robert Browning and “The more I learn, the less I know” by Socrates. The above is just a concluding paragraph; the reason-part I have already covered. Freewill is always with some responsibility. Nowhere in the world freedom is allowed without a responsible behavior. Jesus was just one picture of the One-True-God (I don’t mean from god here trinity or jesus); there were many pictures and Jesus was just one of them. Yes; we got evolved from animals in millions of years on the commandment of One-True-God when He said the words “to be”; and the process of our being got started. When humans got the characteristics that were destined for us in the words “to be”; our God conversed with the most righteous person (of the time) among us called “Adam”. [17:71] Indeed, We have honored the children of Adam, and carried them by land and sea, and given them of good things and exalted them far above many of those whom We have created. [17:72] Remember the day when We shall summon every people with their Leader. Then whoso shall be given his book in his right hand — such will read their book, and they will not be wronged a whit.